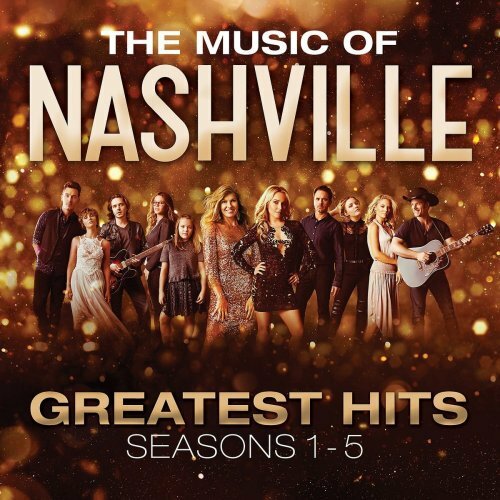 Big Machine Records UK will release a 3 CD Greatest Hits collection from the music of hit TV show Nashville on October 6th, to coincide with the Season 5 finale airing in the UK and the release of the Nashville Season 5 DVD. Tracks on the collection will be favourites taken from across the soundtracks to seasons 1-5. 'Stand Up' by Chris Carmack - one of the lead tracks from the Nashville Season 5 soundtrack, which will also feature on the Great Hits collection, will be released as the next single. The enduring popularity of the programme and its characters was illustrated once again this year when the Nashville cast played their second UK headline tour to a rapturous reception, selling out three shows at the London's Royal Albert Hall. "Nashville" airs on six continents and in more than 100 territories. Since its debut, the show has inspired multiple "Music of Nashville" soundtracks as well as a Christmas album, collectively selling more than a million soundtracks and millions more single tracks to date. Now in its fifth season, the critically-acclaimed series is set against the backdrop of the city's music scene and follows the personal and professional challenges as country music royalty including Rayna Jaymes, Juliette Barnes and Deacon Claybourne navigate their paths as artists and individuals. Czasy w strefie GMT +1. Teraz jest 04:43.